The Alfa Romeo Alfetta GT, also known in certain markets as the Sprint Veloce, is a mid-sized, sports-oriented vehicle built in an era when the Italian manufacturer really was on top of their game. Released in 1974 and designed by a doyen of automotive design, Giorgetto Giugiaro, the Alfetta GT stayed in production until 1987. The Alfetta GT, which was based off the Alfetta saloon, was strictly a two-door, four seater fastback coupe. Power was derived from a range of inline four-cylinder and V6 motors, which could be had in varying levels of displacement, depending on the particular model. The shove from these powertrains was sent to the GTs rear wheels via a five-speed manual transmission, no automatic was offered. The Alfetta GT was a highly successful model for Alfa Romeo, with over 137,000 being sold in its 13 years of production. 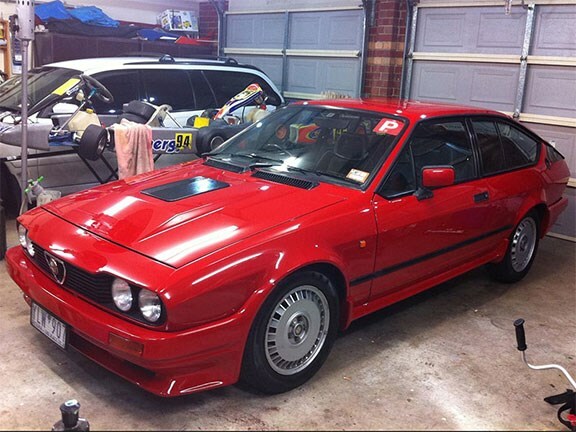 This particular Alfetta is an ’83 GTV6 and, according to the seller, the vehicle has been fully restored and is an absolute pleasure to drive. The seller adds that the vehicle has travelled an original 80,000 kilometres from new and has a full service history and genuine log books. The GTV6 is $20,250 and anyone interested in this classic Italian sportscar can view the full listing here.